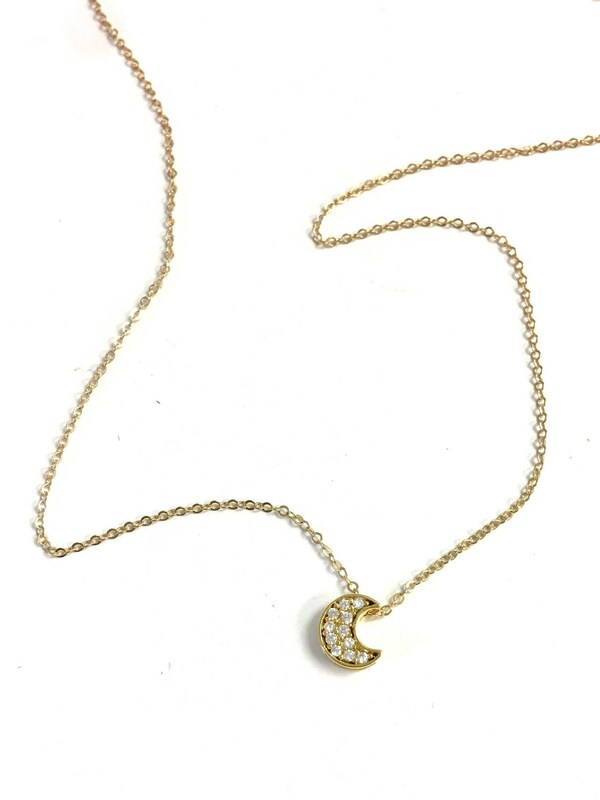 This sparkling CZ necklace is the perfect necklace to give as a special gift for your person or yourself! 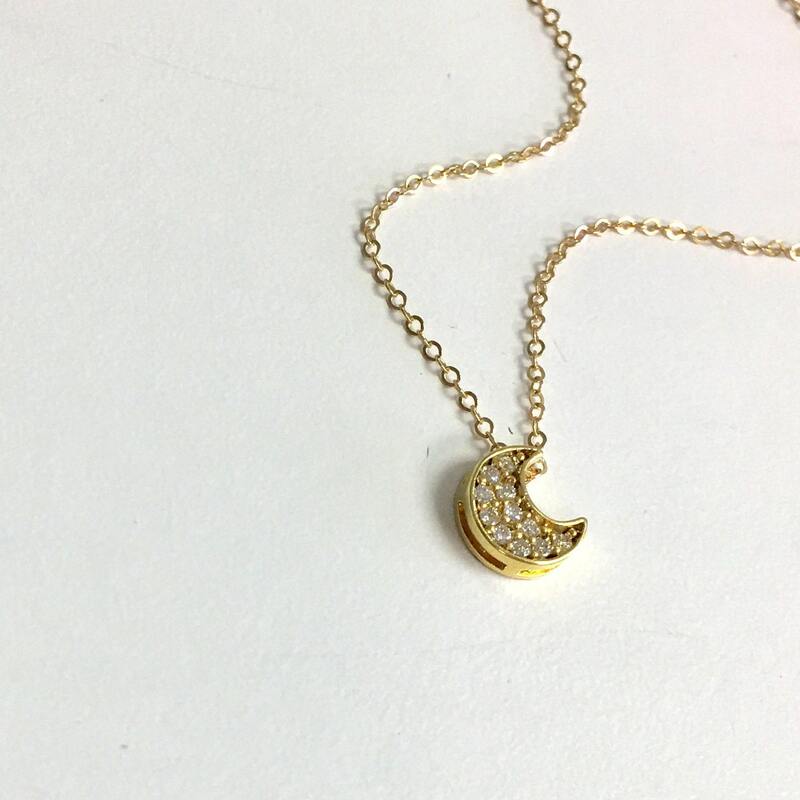 The tiny Pave moon is the perfect touch of sparkle! 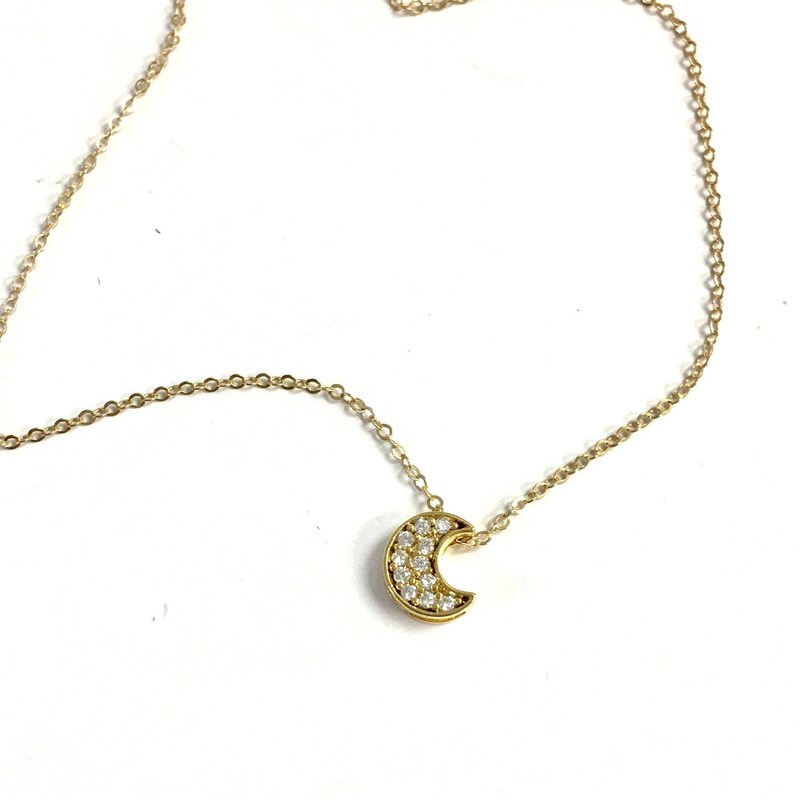 Love this necklace! Tiny and cute! Second piece I have purchased from The Silver Wren and very happy.